Players will never have to worry about hitting “game over” in Super Mario Odyssey. 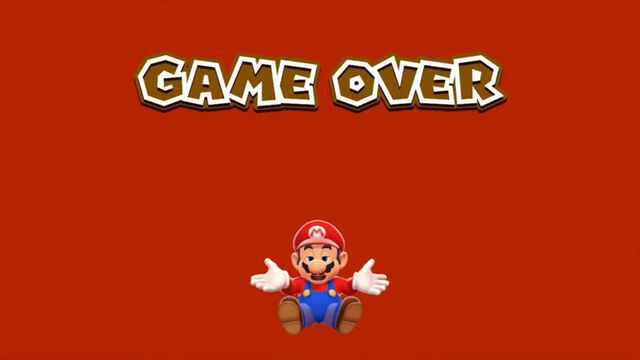 While Mario can die in myriad ways throughout the game, he’ll never make the player sit through one of the iconic end screens. A recent post from the game’s Japanese Twitter account confirms that Super Mario Odyssey has no game over screens. A rough translation of the tweet explains the game’s health mechanic, which sees Mario losing 10 coins every time he “plunges to the depths.” Coins replace the traditional lives system of other Mario games. “No matter how many times he fails, there is no Game Over,” the tweet continues. A follow-up messages adds that even if Mario has less than 10 coins in his possession, the player can still keep going without worrying about a complete game over. “We also wanted people to be able to, you know, you get into a kingdom and you can just kind of continually keep going through that kingdom without being pulled out, so that was why we kind of wanted to get rid of the lives idea,” Yoshiaki Koizumi, the game’s producer, told Polygon at E3 of the decision to do away with lives and 1-Ups — and, apparently, game overs. In our time with Super Mario Odyssey, we found that amassing coins wasn’t difficult; they’re all over the various kingdoms Mario travels through. There’s also the usual checkpoint system, so that anytime Mario does kick the bucket, he’ll just pick up from the last flagpole he hit up. It’s a little bit sad to see the iconic game over go by the wayside. A recent video explored the evolution of Mario’s deaths and game-ending actions over the past 30 years, ending with Super Mario Odyssey’s much less anxiety-inducing death screen. But maybe the lack of game over will be good — since we want to spend as much time as possible running around this sandbox adventure game. Super Mario Odyssey launches Oct. 27, only on Nintendo Switch.